So, that difficult second album. This has been a problem for many artists after delivering a successful debut. That said there are many in the musical world that have pulled it off and in Se Delan’s case I believe they fall into that category. They have provided a follow up to 2014’s The Fall that is a progression to their signature sound, which had a slow, dreamy and haunting nature. Drifter demonstrates an ongoing development. 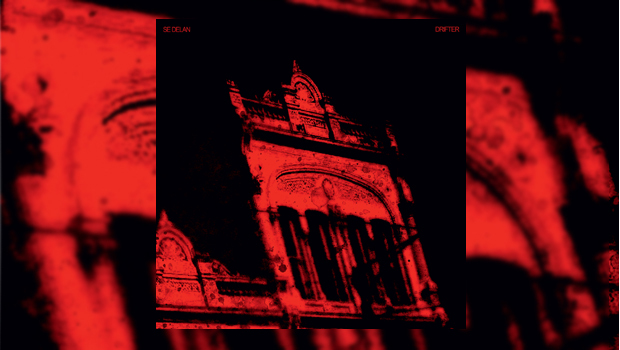 Se Delan are the joint talents of multi-instrumentalist Justin Greaves and Swedish vocalist Belinda Kordic, Greaves being best known as the driving force behind Crippled Black Phoenix (and if you are not familiar with that band I urge you to check them out). Drifter was recorded at Tripdown Studio in Lincolnshire, self produced with engineering by Richie Chappel and mastering by Karl Daniel Liden (Cult of Luan/Crippled Black Phoenix) in Stockholm. The artwork was provided by Australian artist Matthew Dunn. Drifter has a darker feel than its predecessor; this may be due to its subject matter as it “looks at madness and how the line between sanity and insanity can at times appear frighteningly thin”. Indeed, Belinda commented that “sometimes it can take a lot of effort and hard work to stay grounded and stay on the right side of that line”. The pair with their mutual understanding and shared influences of “music, film and life” have created an album which they describe as “raw, more natural and human”, Justin stating that “we don’t write songs in any way with this big concept in mind. We just put our thoughts into words and feelings into the music, whatever they may be”. The album does have moments of brightness, in particular the opening track Going Home, Belinda’s vocals here are clear and precise whereas throughout the album she casts an eeriness with her breathless and haunting delivery. At times her voice adds to the claustrophobic atmosphere of the music. The track Blue Bird moves at a slow pace, starting with a chiming guitar but the bass comes growling in to take the song forward before Belinda’s voice joins the returning guitar. All I Am continues with the bass being a feature, its pulsating rhythm being central to the song with the other instruments and vocals wrapping around it. This makes for an intriguing sound. As I mentioned earlier, Se Delan do have a sound of their own. There is at times a slight Crippled Black Phoenix influence, which is understandable given that both Justin and Belinda are involved in that band. The only other influence I have noted here is on Gently Bow Out where there are some touches of Siouxsie and the Banshees. There is one instrumental, In Obscura, which continues to provide an uneasy feel despite containing some lighter moments. Drifter is an album that comprises layers of sound, on first listen it appears dense but after repeated plays the layers peel away to reveal the true beauty and melodies contained in the songs. There is a lot to hear and the reward is there on each play; quality song writing, excellent musicianship and a great band feel considering all the instruments where played by Justin. I have really enjoyed this album, as I did their first. If you want to hear an album that has a dark feel while providing some great music and are able to invest some time, this could be the release for you. The album was released by Kscope on the 29th April (3rd June in France) on CD, 180g black vinyl and digital download.